A report emerged late Tuesday that Google is working on building its own cable TV service. The move would bring Google up from being the owner of a mere streaming video site to competing with telecom giants like Comcast. That means Google would have an entirely new—if related—industry to disrupt and, potentially, dominate. Which leaves one glaring question hanging in the air: Doesn't Google dominate enough industries already? The answer to that question invariably depends on your worldview. Google is a pretty big company, with projects ranging from its core advertising business in AdSense to digital cartography in Google Maps to futuristic consumer technology like Google Glass. There are also a host of other products Google's working on that you've probably never heard of. (Did you know Google's in the energy trading business? It's true!) But it's hard to comprehend the scale of the situation without a running list of everything Google's doing these days. That list is below, for your perusing pleasure. And remember; this is just the stuff we know about. This is Google's bread and butter, its original sin, what keeps the lights on. The main pillars of Google's advertising business include AdWords, the simple text-based ads you're used to seeing plastered all over the internet, and AdSense, the program that delivers the ads. There's also AdMob, the mobile advertising business that Google hopes will scale as well as the rest of its ad business, and DoubleClick, the suite of ad management tools for buyers that makes all this work seamlessly. If Google had to abandon any of its businesses, this would not be it. Advertising makes up about 95 percent of the company's total revenues. It's hard to decide what to call Google's many software solutions, but it's safe to say that they can be lumped together into the consumer productivity category. Its offerings include everything from Gmail to Google Calendar to Google Docs, and they're increasingly the default solution for their respective categories. Google calls the suite Google Apps and offers a free version for consumers and a paid version for businesses. Google hopped on the internet self-publishing bandwagon pretty early and now owns several of the trailblazers. This includes products like Blogger, Google Sites (formerly Jotspot) and Picasa, the online photo sharing site. Eventually, they'll all likely just be Google+ features. On the desktop side of things is the company's marquee software offering, Google Chrome, which took on a whole new life in recent years with the launch of Chrome OS. Combined with productivity software, this means that you can run your entire computer on Google software and never need to come up for air. 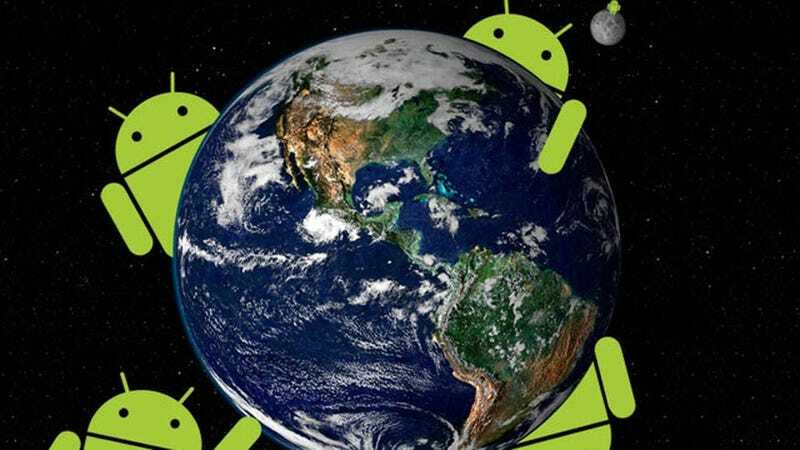 If you prefer working on your phone or tablet, Google makes the most popular mobile operating system in the world: Android. More recently, we've seen Google break out of its pixel-heavy business model and start exploring the world of hardware. The company's most aggressive move in this direction so far was its $12.5 billion purchase of phone manufacturer Motorola Mobility in 2011. Only now are we starting to see the fruits of that labor, after Google Chairman Eric Schmidt was spotted using the rumored Motorola Moto X last week. In the past, Google has partnered with companies like HTC to build branded hardware, but the Moto X will be the first all-Google phone. The fun extends beyond phones. Google is also in the laptop-making business after the release of its Chromebook Pixel. The company also worked with manufacturers like Samsung and Acer on its (much cheaper) Chromebooks, which also run on Chrome OS. It's funny to think about, but Google is also one of the world's most innovative mapping companies. One need only look as far as the many killer features in Google Maps, from Street View to the turn-by-turn directions to the newer 3D offerings. Google is also leaning hard on the possibilities of GPS to do some pretty wild mapping projects like Panoramio, a lesser known app that enables users to upload their photos with geolocation data built in. If enough people do it, Google could effectively create a 3D model of the entire planet. A lot of people would have to upload photos, though. Until then, we have Google Earth to show us around. Otherwise, there's always Google Mars. In a word: YouTube. Google is the proud owner of the world's largest video site, where there's much more than clips of how to put on makeup and bloopers of kids skateboarding. The site is now home to troves of professionally produced original video from around a hundred different companies, including The Onion, The Wall Street Journal and VICE. Should Google follow through with this cable TV venture, it'll be interesting to see how these countless hours of YouTube content fit into the equation. On its surface Google Play is just another app store, but as time goes on, it's apparent that Google wants to sell all kinds of stuff there. Beyond apps, there's now music, books, magazines, movies and even the devices you use them on. And with textbooks showing up in a big way on Google Play, it won't be long until the store offers a full education suite, too. What good would shopping on a Google site if Google didn't have a way to handle your money? And boy does Google have a way to handle your money. Once known as Google Checkout, Google Wallet is the one-stop shop for online payments through Google and is increasingly available for use at brick and mortar outlets. Google Wallet, as the name suggests, can hold the information for all of your credit cards, debit cards, gift cards and even loyalty programs so that when you arrive at the checkout, all you need to do is swipe your phone over an NFC sensor. Unfortunately, there aren't too many of those sensors out there quite yet. Not for lack of trying on Google's part. After years of trying, Google finally has a sizable social networking business thanks to Google+. Designed to work as a social layer that connects all of Google's products, Google+ has proven itself as a functional social network, though the jury is still out on whether or not it's something people actually want to use. Meanwhile, it's easy to forget that Google owns Orkut, one of the original social networks. It's big in Brazil. Outside of its fledgling social network, Google actually boasts one of the biggest messaging communities in the world. The main outlet for many is Google Talk, the AIM-like instant messaging service tethered to Gmail, but Google is making waves on the mobile front with Google Voice. Aside from basic phone calls, Google Voice makes it easy to send and receive text messages from your browser. The marquee product, though, is the recently announced Google Hangouts, which could turn out to be the most important smartphone feature of all. While launching its own cable TV business would be a new adventure for Google, the company's been playing around in the broader telecommunications industry for a few years now. It all started when Google launched Google Voice, essentially rendering long distance phone companies obsolete by undercutting their rates dramatically. Google gained controls of the wires themselves last year when the company launched Google Fiber, an ultra high speed internet service first available in Kansas City. Along with Google TV, the company's current streaming TV surface, Google's drift into cable TV would just round out its offerings. And that's all just what Google does now; who knows what comes next? Following in the footsteps of its Silicon Valley neighbor and worldwide rival Apple, the company's been getting increasingly secretive about its research and development projects. The home for many of these R&D projects is Google X, a nondescript two-story building on campus that produced such zany projects as the self-driving car. The other big project to come out of Google X is sure to shape not only the future of Google but the future of technology. It can be described in two words: Google Glass.